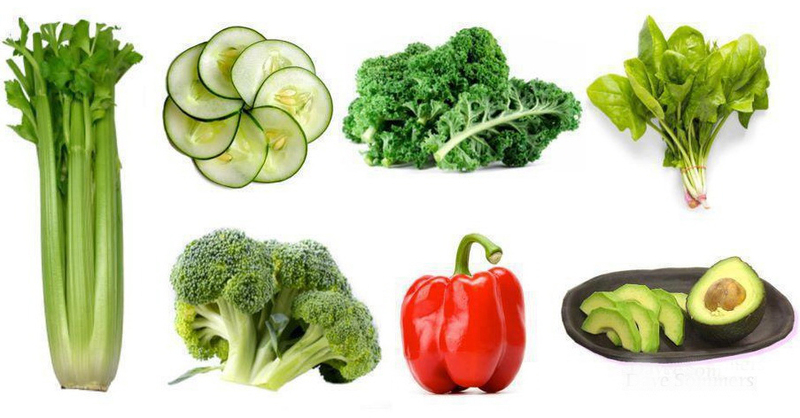 To maintain healthy diet, it should consist of 60% alkaline foods i.e. alkaline forming foods and 40% acid forming foods. 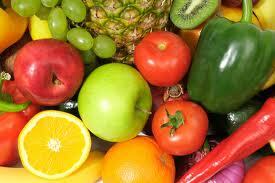 To restore health, the diet should consist of 80% alkaline forming foods and 20% acid forming foods. Generally, alkaline foods (alkaline forming foods) include: most fruits, green vegetables, peas, beans, lentils, spices, herbs and seasonings, and seeds and nuts. Generally, acid forming foods include: meat, fish, poultry, dairy, eggs, grains, and legumes. Apples (sweet), alfalfa sprouts, apricots, avocados, bananas (ripe), currants, dates, figs (fresh), garlic, grapefruit, herbs (leafy green), leafy green lettuce, nectarine, peaches, pears, peas (fresh, sweet), pumpkin (sweet), beans (fresh, green), beets, bell peppers, broccoli, cabbage, carob, cauliflower, ginger (fresh) , oranges, peaches (less sweet), peas (less sweet), potatoes (with skin), pumpkin (less sweet), strawberries, squash, sweet Corn (fresh), turnip, vinegar (apple cider). kiwifruit, passion fruit, pineapple, raisins, umeboshi plums, and vegetable juices. Apricots, spices, kambucha, unsulfured molasses, soy sauce, pepper, parsnip, garlic, asparagus, kale, parsley, endive, arugula, mustard green, ginger root, grapefruit, olive, carrots and mango are also good alkaline foods. Most herbs, green tea, mu tea, apple cider vinegar, sake, quail eggs, primrose oil, sesame seed, cod liver oil, almonds, sprouts, potato, bell pepper, mushrooms, cauliflower, rutabaga, ginseng, eggplant, pumpkin, collard green, pear, avocado, apples (sour), blackberry, cherry, peach, and papaya. Almonds, artichokes, cherries, coconut (fresh), cucumbers, eggplant, honey (raw), leeks, mushrooms, okra, olives (ripe), onions, pickles (homemade), radishes, sea salt, spices, tomatoes (sweet). Chestnuts (dry, roasted), goat's milk and whey (raw), olive oil, sesame seeds (whole), soy beans (dry), soy cheese, soy milk, sprouted grains, tofu, tomatoes (less sweet), and yeast (nutritional flakes). Ginger tea, umeboshi vinegar, ghee, oats, quinoa, japonica rice, wild rice, avocado oil, most seeds, olive oil, flax oil, brussel sprout, beet, chive, cilantro, celery, okra, turnip greens, squashes, orange, banana, blueberry, raisin, currant, grape, and strawberry. Curry, koma millet, kasha, amaranth, brown rice, pine nuts, canola oil, spinach, fava beans, black-eyed peas, string beans, wax beans, zucchini, chutney, rhubarb, coconut, guava, dry fruit, figs, and dates. Vanilla, balsamic vinegar, cow milk, aged cheese, soy cheese, goat milk, spelt, teff, kamut, farina, semolina, white rice, almond oil, sesame oil, safflower oil, tapioca, seitan, tofu, pinto beans, white beans, navy beans, red beans, aduki beans, lima beans, chard, plum and tomatoes. Milk protein, cottage cheese, barley, corn, rye, oat bran, pistachio seeds, chestnut oil, lard, pecans, green peas, peanuts, snow peas, other legumes, garbanzo beans, and pomegranate. Bran, butter, cereals (unrefined), crackers (unrefined rye, rice and wheat), cranberries, dried beans (mung, adzuki, pinto, kidney, garbanzo), dry coconut, egg whites, eggs whole (cooked hard), fructose, honey (pasteurized), ketchup, maple syrup (unprocessed), milk (homogenized). most nuts, mustard, oats (rye, organic), olives (pickled), pasta (whole grain), pastry, and wheat bread (sprouted organic). Artificial sweeteners, All meats, pork, poultry, fish, seafood, beer, wine, liquor, processed cheese, fried foods, breads, sugar, carbonated soft drinks, cereals (refined), cigarettes and tobacco, coffee, tea (black), flour (white, wheat), jams, jellies, maple syrup (processed), molasses (sulphured), pasta (white), pastries and cakes from white flour, pickles (commercial), white bread, vinegar and yogurt(sweetened). In a Juicer, juice the cucumber, celery, lemon, ginger and pear. 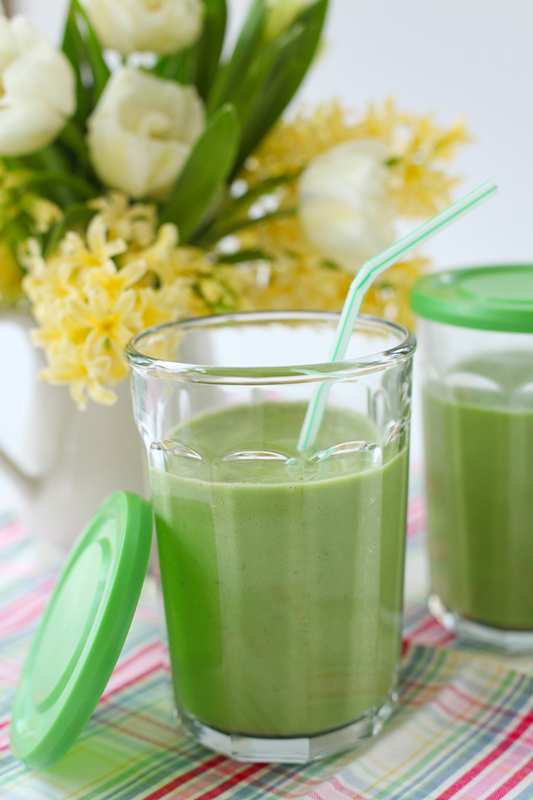 Pour this juice in a high speed blender with the spinach, broccoli and avocado and blend til creamy and smooth. If you wish, sweeten just a tad more with a few drops of stevia. Enjoy with a straw and share or pack the 2nd glass for mid morning or for lunch. *note: If you can learn to enjoy the green juice without the pear or stevia, this is ideal for alkalizing and is mandatory for anyone who is not well and is working to eliminate symptoms.